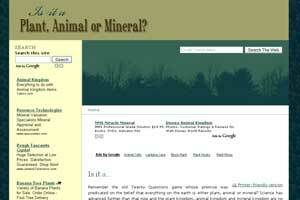 Plant, Animal, Mineral is an informational site that we started at the end of 2008 in order to reproduce public domain nature articles. Gathered from old nature magazines, the stories and information shared is often timeless. The website can also be used as a handy research tool since every article added includes the original publication, volume number and date.